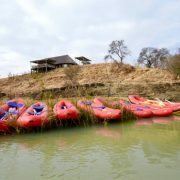 Every stretch of of the Tugela River we raft we also take on with white water kayaks. 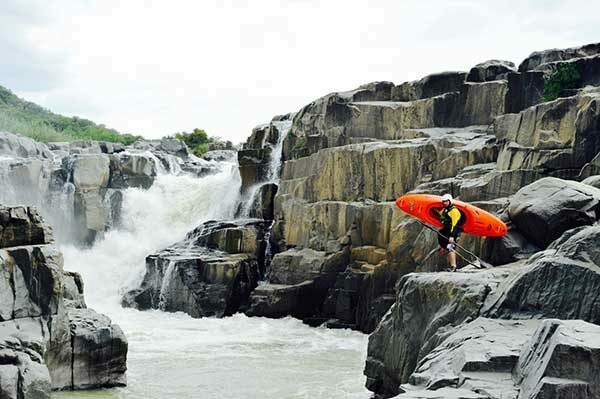 If you’re a keen kayaker already and looking for some action in our area, the Tugela River is an absolute must. Some of the best anywhere! Outings can be organised along this river’s whole upper section. Expect anything from the easy and naturistic to the rugged, high class and isolated type stuff. One-day to multi-day, it is totally up to you! Region: All the way from the town of Bergville to Causeway, just down stream of the town of Weenen, KwaZulu-Natal. 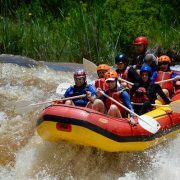 Here you’ve got the entire upper Tugela, the ultra classic Harts Hill Falls section as well as the legendary Tugela River Canyon. All of it! Duration: 1 day or multi-day. When to go: High summer (October-March). Itinerary rating: Moderate to extreme.